I hope you all had a memorable Thanksgiving! Continuing with the being grateful vibe, my thoughts turn to giving back. Everyone is getting excited about Christmas, but there are people who don’t wake up to presents under the tree. Instead of only thinking of ourselves through the holidays, we should help out those who aren’t having the traditional Christmas. As Brian Tracy once said, “Love only grows by sharing. You can only have more for yourself by giving it away to others”. I can relate to this in many ways. 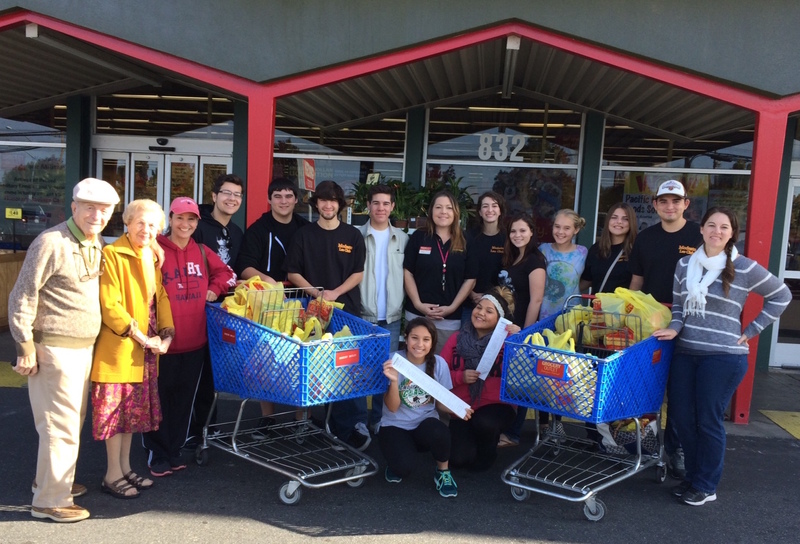 One recent weekend, the Leo’s Club bought over 70 canned goods and donated them to The House Church. 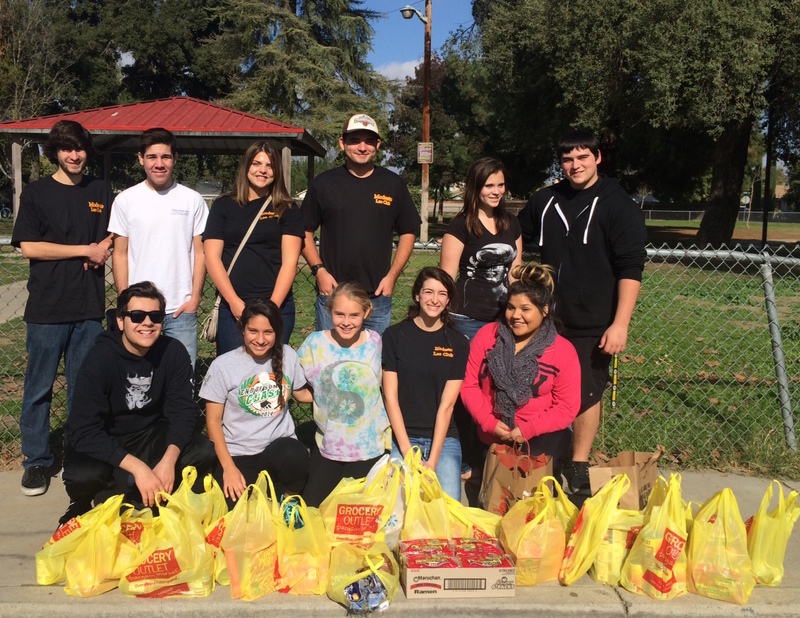 Their outreach organization gives bags filled with food to people can’t afford to buy it for themselves. Knowing that the food we bought with our savings was going to a good cause we felt we got more than we gave. There are many organizations that are collecting canned goods, so don’t miss out on the opportunity. My favorite thing to do every winter is the Soroptimist Tree with my family at the Vintage Faire Mall. It is a project where you select a child’s name off a Christmas tree that list their needs and wants such as clothing and toys. You then provide gifts for the child based off of their paper. It puts it into perspective that the gifts we are donating will be some if not the only gifts a needy child may receive for Christmas. Doing these projects always get me in the Holiday spirit and remind me that this time of year is about sharing and giving back. See you in 2015!